Here are some questions and problems that people often encounter when using Default Folder X. Default Folder X 5.x is telling me I need to upgrade. What's going on? If you purchased an older version of Default Folder X before June 1, 2015, there is an upgrade fee of $14.95 (US) for version 5.x. If you are a registered user of a previous version, enter your serial number in the General tab of your Default Folder X 5 preferences and it will check and let you know if you need to upgrade. If you no longer have your serial number, please use our serial number request form to have us look it up for you. If Default Folder X tells you that you need to upgrade, go to https://www.stclairsoft.com/upgrade/ and make your purchase. You'll need to enter the name, email address or serial number from your old license to verify your eligibility for the upgrade. I updated Default Folder X and it now has labels under its toolbar icons. How do I turn them off? Just Control-click above the "D" icon in the toolbar and choose "Icon Only" from the menu that pops up. I have two computers. How many licenses do I need to buy? Our licenses are "single-user", so you need one per user, not one per computer. You're welcome to use your license on multiple machines as long as you're the sole user of the machines. As long as that's the case, all you need to do is download the latest version of Default Folder X, install it on both computers and enter your serial number in both places. What applications does Default Folder X support? Default Folder X enhances the Open and Save dialogs in all Carbon and Cocoa applications, so it should appear in all macOS-native applications. It cannot enhance non-native Java applications, however, if they do not use the standard macOS file dialogs. Does Default Folder X patch my system? No. Versions of Default Folder X prior to version 5 injected code into applications to detect when you used a file dialog. Version 5 no longer does this. Can I rename folders in Default Folder X's Favorites menu? Yes. Just open your Default Folder X preferences, click on the Folders tab, click on Favorites, and then Control-click (or right-click if you have a multi-button mouse) on the Favorite folder you want to rename. How do I change the order of my Favorites? Open your Default Folder X preferences, click on the Folders tab, click on Favorites, and then drag the Favorite folders up and down in the list to change their order. You can also use the utility menu in the lower right corner of the Favorites list to sort them alphabetically or by shortcut. How do I uninstall Default Folder X? Just quit the Default Folder X application and move it to the Trash. 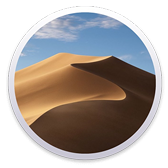 Is Default Folder X compatible with Mojave (macOS 10.14)? Yes, version 5.3 or higher of Default Folder X is compatible with Mojave. Does Default Folder X work with El Capitan, Sierra, High Sierra and Mojave (macOS 10.11, 10.12, 10.13 and 10.14)? Version 5 of Default Folder X is compatible with El Capitan, Sierra, High Sierra and Mojave. Version 4 is not, unless you turn off System Integrity Protection (which we don't recommend). I turned off System Integrity Protection to get Default Folder X 4 to work. Now that I've upgraded to Default Folder X 5, how do I turn System Integrity Protection back on? What version of Default Folder X do I need? For 10.14 (Mojave), 10.13 (High Sierra), 10.12 (Sierra) and10.11 (El Capitan), use Default Folder X 5.3.6. For macOS 10.6 (Snow Leopard) , 10.7 (Lion), 10.8 (Mountain Lion), 10.9 (Mavericks), and 10.10 (Yosemite), use Default Folder X 4.7.4. If you are still using Mac OS 10.5, have a PowerPC Mac or run PowerPC applications in Mac OS 10.6 using Rosetta, you'll need to download Default Folder X 4.5.12. If you've got a really old Mac, you can still download Default Folder X 4.3.10 to run on Mac OS 10.4 (Tiger). Note that we no longer officially support versions 4.5.12 and 4.3.10, but they work just fine on older versions of macOS. Are there any applications that are incompatible with Default Folder X? Version 6.0 of the QQ chat application, by TenCent, prevented Default Folder X from switching between folders if its screen snapshot helper app was running. This was fixed in version 6.1 of QQ, so just make sure your copy of QQ is up-to-date. In System Preferences > Security & Privacy > Accessibility, I can't give Default Folder X permission to run. The checkboxes are always disabled. You need to unlock your Security settings before you can modify the checkboxes. To do this, click on the lock icon in the lower left corner of the window. Default Folder X's controls have stopped appearing in Open and Save dialogs. What's wrong? We've seen problems in Adobe Creative Suite and Microsoft Office 365 apps immediately after they've been updated by their respective auto-update mechanisms. It appears that the updaters relaunch the apps in such a way that macOS doesn't send a "this application just launched" notification to Default Folder X. That prevents DFX from seeing the file dialogs when they appear. To fix this, just quit and relaunch the application in which you're not seeing Default Folder X's controls. When an Open or Save dialog appears, my entire screen turns gray. How do I stop this? What you're seeing is part of Default Folder X's "Finder-click" feature. Whenever you move the mouse over a Finder window, Default Folder X draws a gray shadow over the window. This shows you that clicking on the window will switch to that folder in the file dialog. There's an option in your Default Folder X preferences called "Choose the Desktop when you click on it." This makes Default Folder X treat the entire screen as a window showing the Desktop, so it grays out the entire screen to show you that clicking there will do something. Turning off this option will stop the screen from turning gray. Alternately, you can turn off "Highlight Finder windows when you mouse over them" if you prefer to keep the behavior but don't want the visual effect. Default Folder X won't let me click on some Finder windows. Why? Default Folder X's Finder-click feature doesn't support Smart Folders (including All My Files) or search results. These windows don't have a "location" - the files listed there are in various folders and are just listed together as the result of a search. So when you click on that window, there's nowhere for Default Folder X to "go," and it doesn't have a way to replicate the whole search in a file dialog window. So it doesn't show those windows as being "clickable" because there's nothing it can logically do with them. As a long-term Mac user, i have installed demo software beyond count. Yours is one of the few that I've seen the worth in investing in. It's one of those programs that I wonder how I lived without for so long. Before I was constantly clicking through directories every time I wanted to open, save or attach a file. Now I do almost everything in just a few clicks.